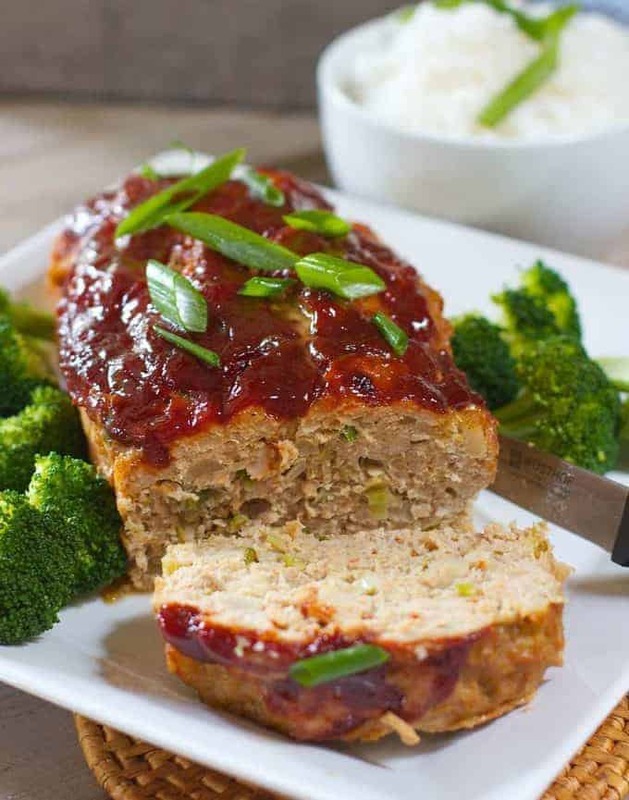 Asian Style Chicken Meatloaf ! – Tastes like the inside of a chicken potsticker! A whole new twist on a classic recipe! 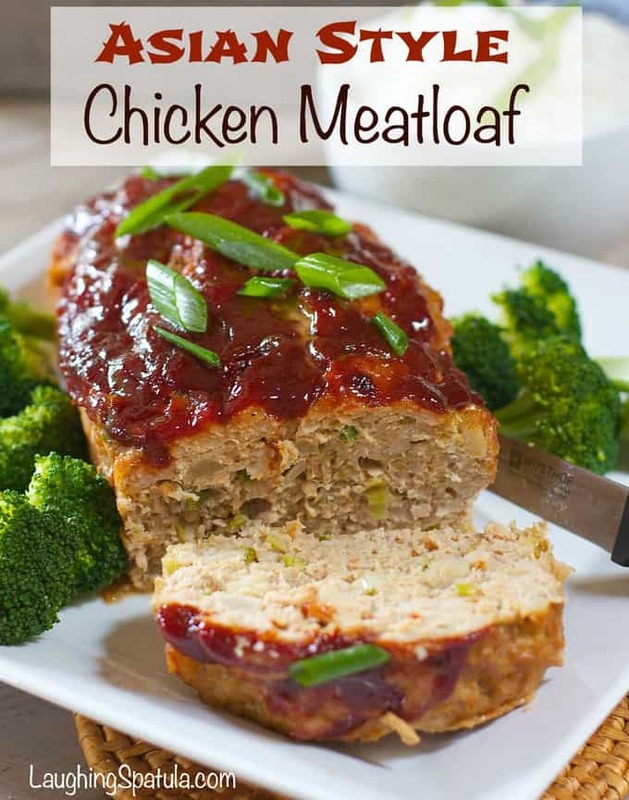 If you like potstickers you are going to love this meatloaf! All the yummy asian flavors of the inside of a chicken potsticker, without the wrapper! The kicker is the chopped water chestnuts that add a fabulous crunch! No need to run to the store to get a plethora of asian ingredients you are only going to need once. 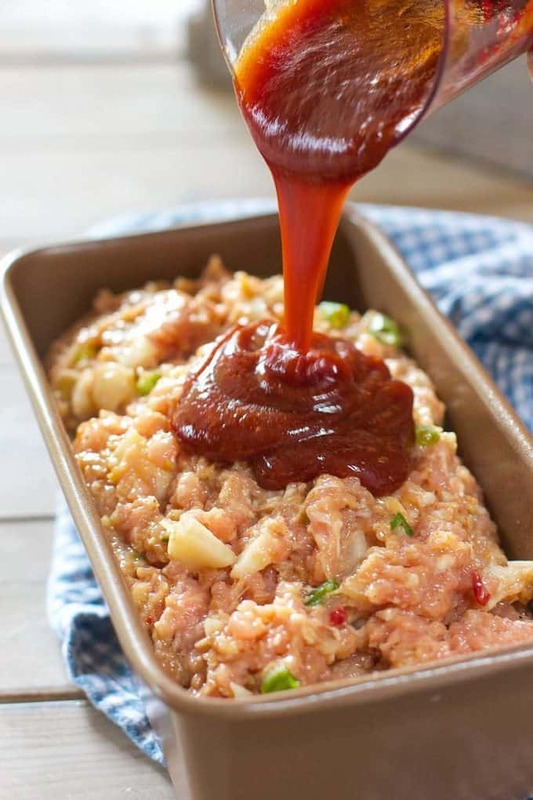 The glaze is a mixture of ketchup, bbq, soy sauce and few other things you probably have in your cupboard. Keeping it easy for ya! And let me tell ya, if you think taking pictures of meatloaf is easy…then you have never taken pictures of meatloaf! Enjoyed that walk down memory lane…not. 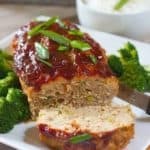 The only thing that gives me comfort is to know that this is a super flavorful recipe, especially when you are tired of regular old meatloaf! To meat nuggets…sorry, not sorry! 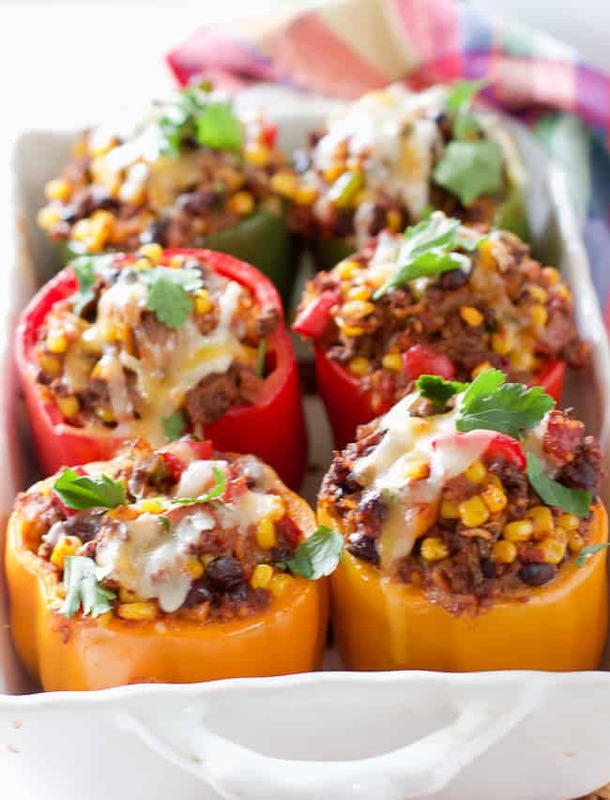 These Healthy Stuffed Southwest Peppers are like a taco in a pepper! 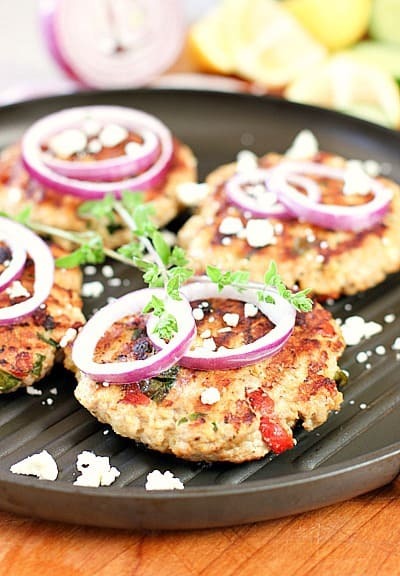 Or these delicious Greek Chicken Burgers which can be made with ground chicken or ground turkey! We made this meatloaf tonight for dinner and it was excellent. We couldn’t find chicken sausage so just used Italian Mild pork sausage and I thought it worked just fine. 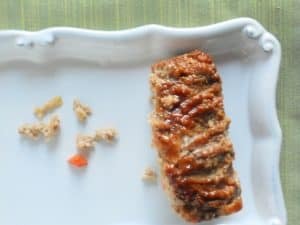 I’m also really glad we used fresh ginger, because it was nice to taste the little extra bites of flavor while eating the meatloaf and the sauce. For sides I made a brown rice and a garlic roasted bok choy. I have already sent the recipe to my family! Thanks so much for sharing! I made this for my family and they loved it! It really does taste like a pot sticker! I will absolutely make this again. I used sweet Italian chicken sausage from Whole Foods, and Hoisin sauce instead of BBQ sauce in the glaze (because I hate BBQ sauce, and I wanted it to be more authentic to the cuisine). The only thing I will do differently next time is to omit the salt–because it would presumably be salty enough with just soy sauce, even with using low-sodium (which I did) . So glad you liked it! It’s one of those recipes thats always in our weeknight rotation. I’m thinking subbing hoisin for the bbq is the salt culprit but love the addition of it for a more authentic asian flavor. Thank you for your note!